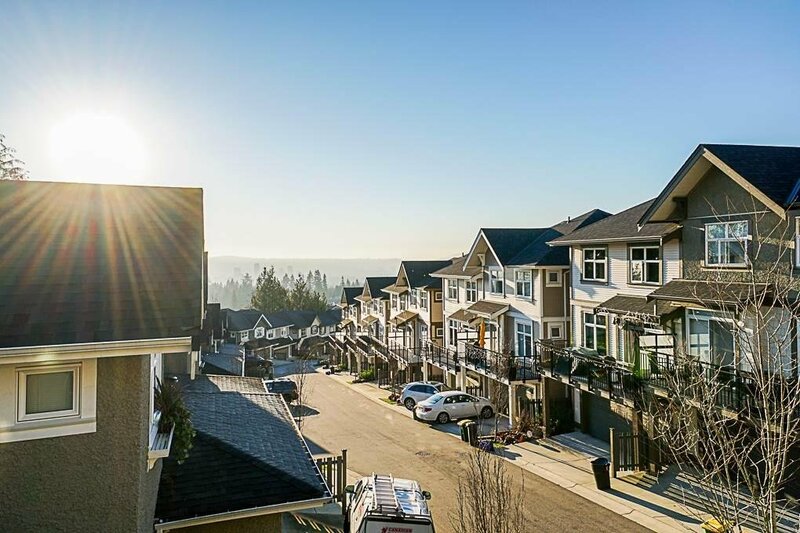 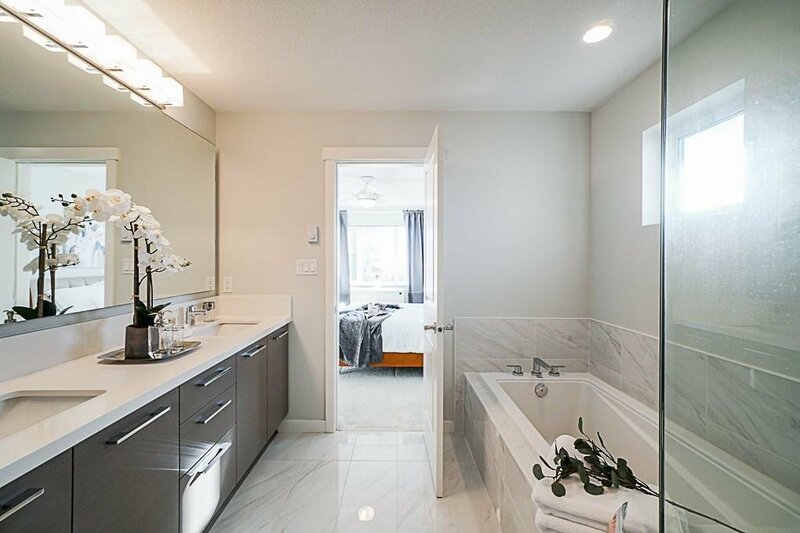 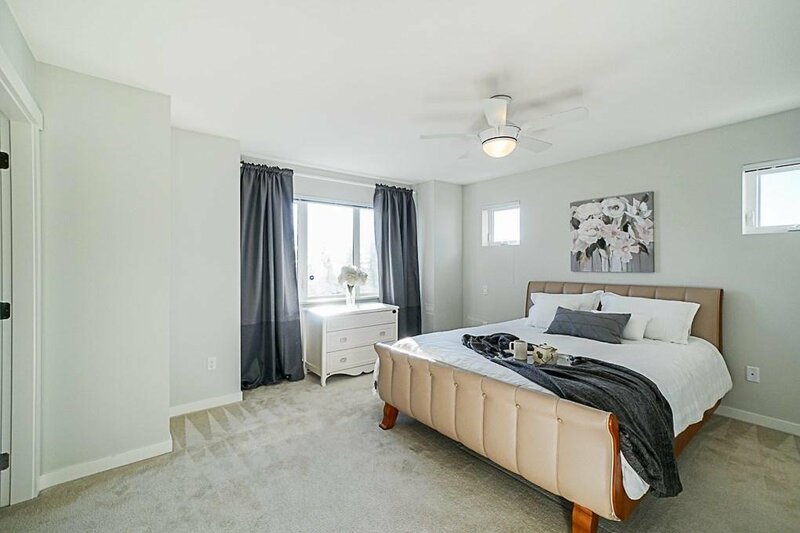 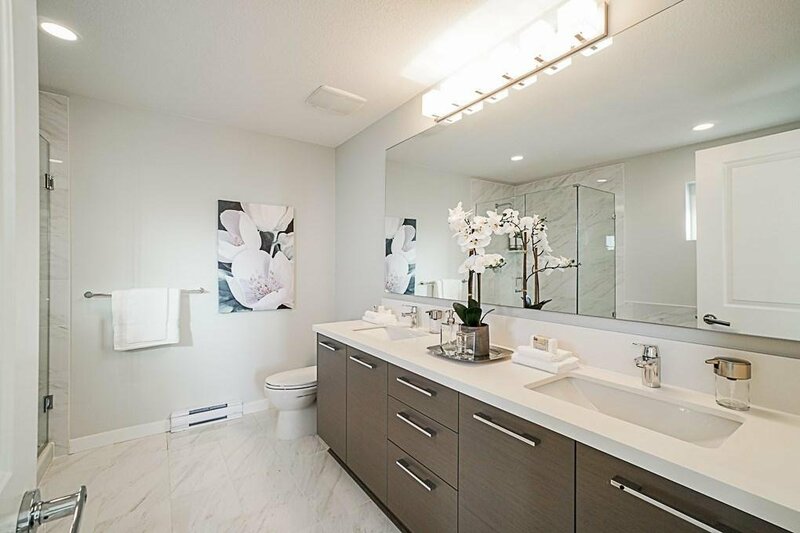 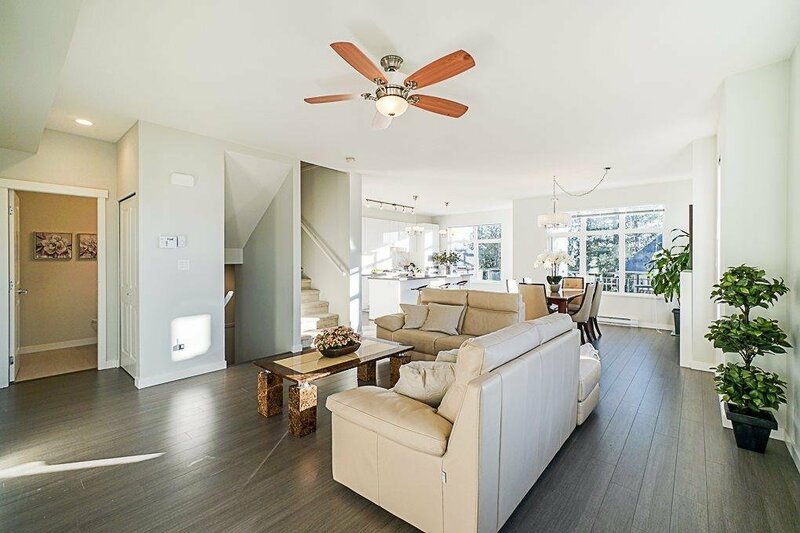 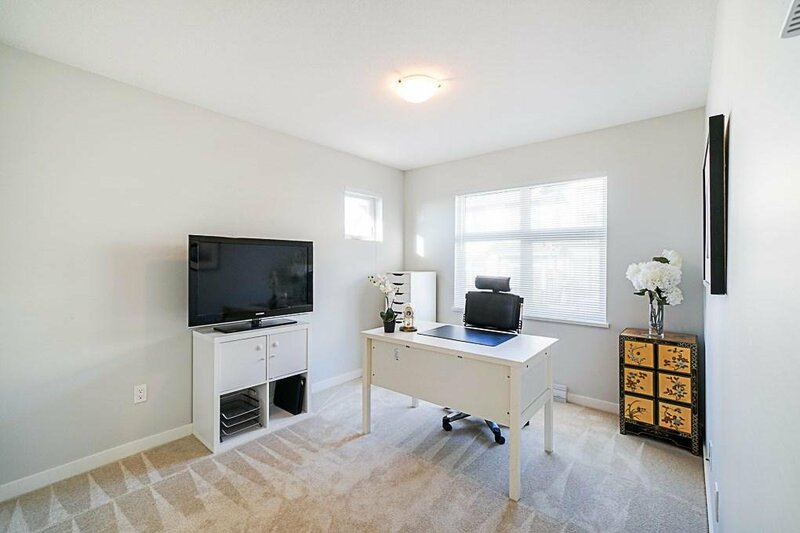 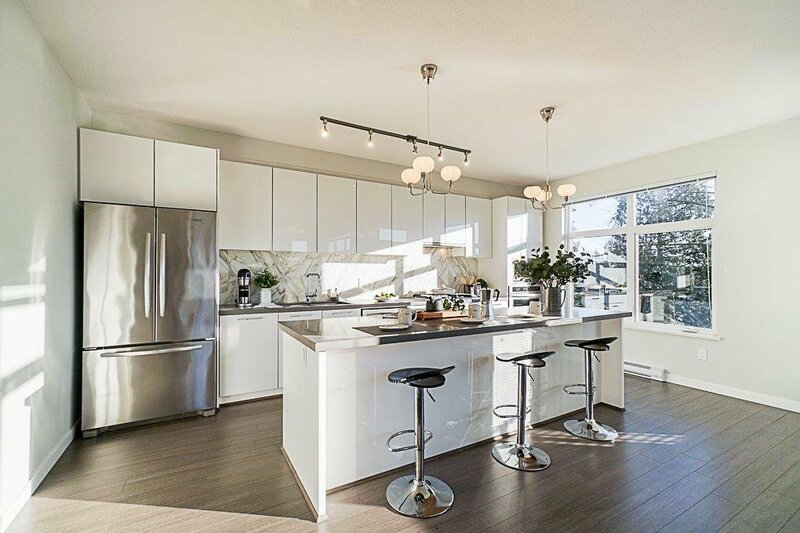 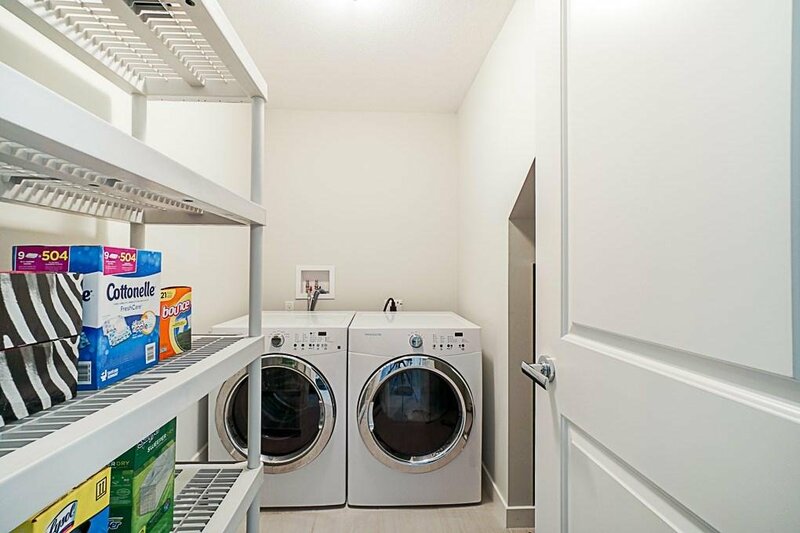 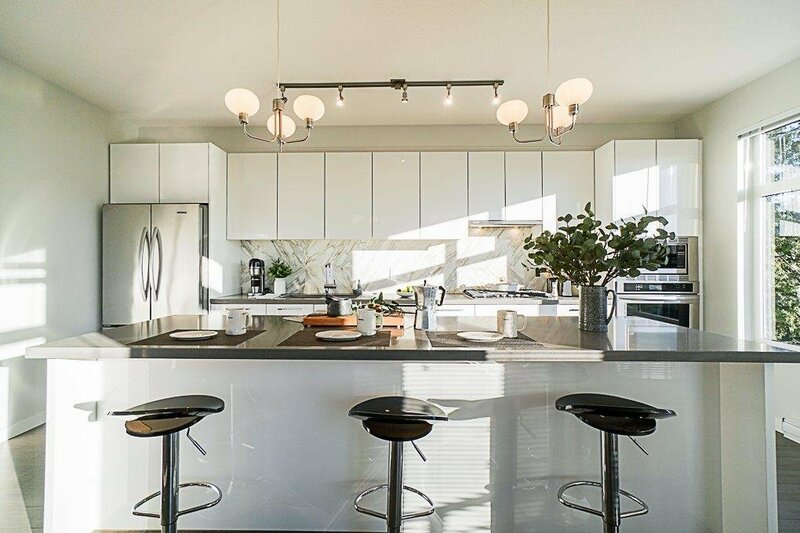 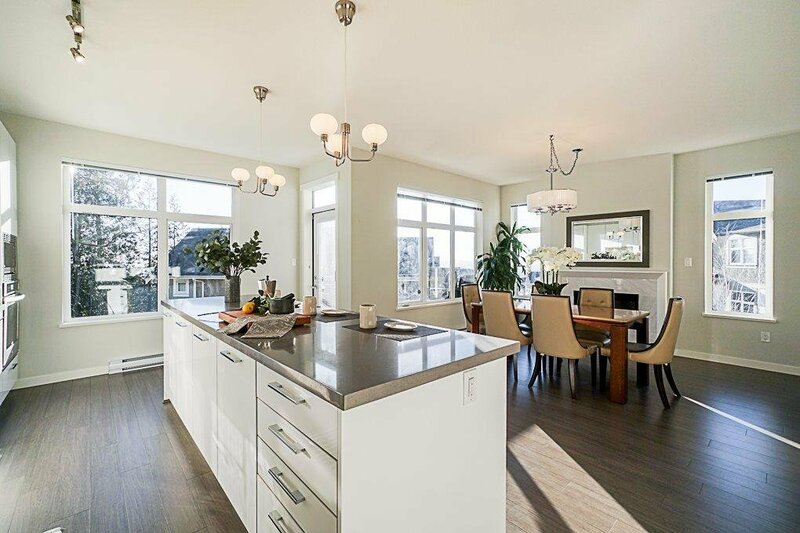 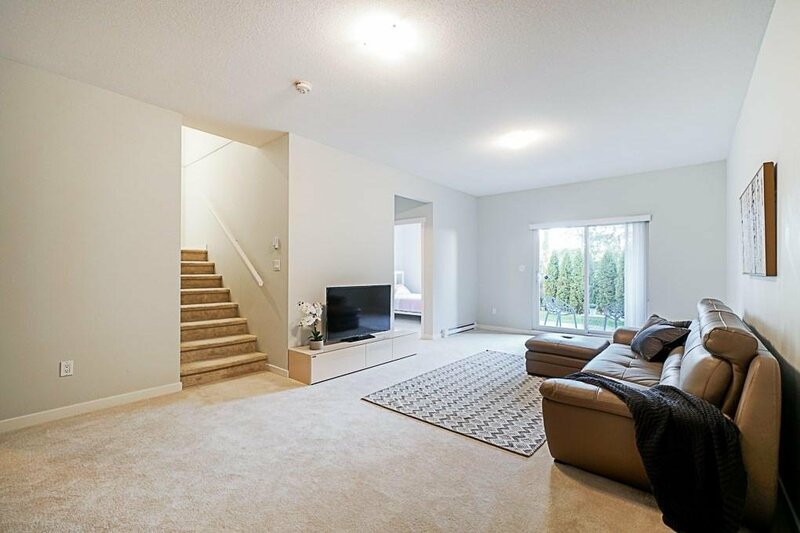 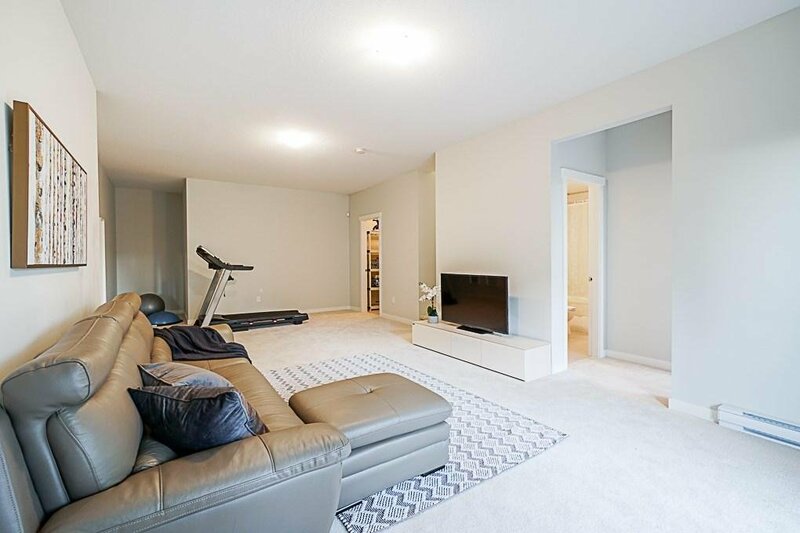 53 3400 Devonshire Avenue, Coquitlam - 4 beds, 4 baths - For Sale | Kelly Siah - Multiple Realty Ltd.
Luxurious DUPLEX style 4 bed and 4 bath townhome by Polygon offering panoramic View & Privacy! 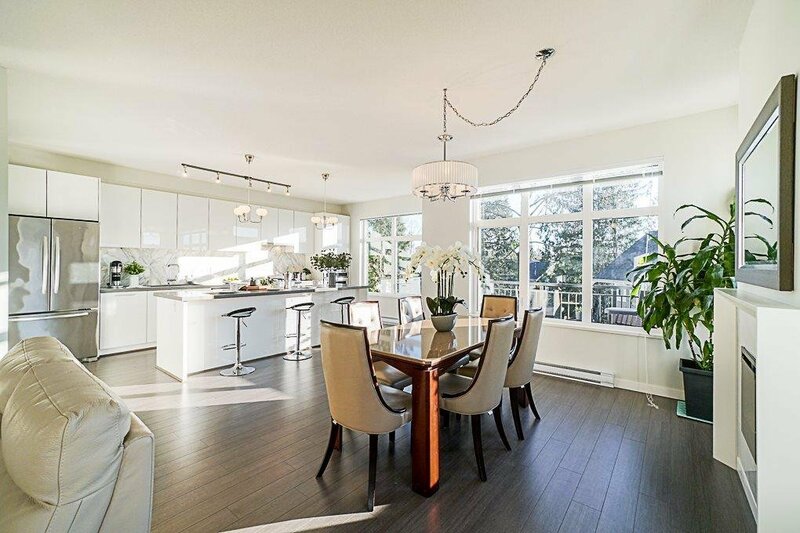 Spacious as a single-family home which stands alone in the complex and backs on PROTECTED green space. 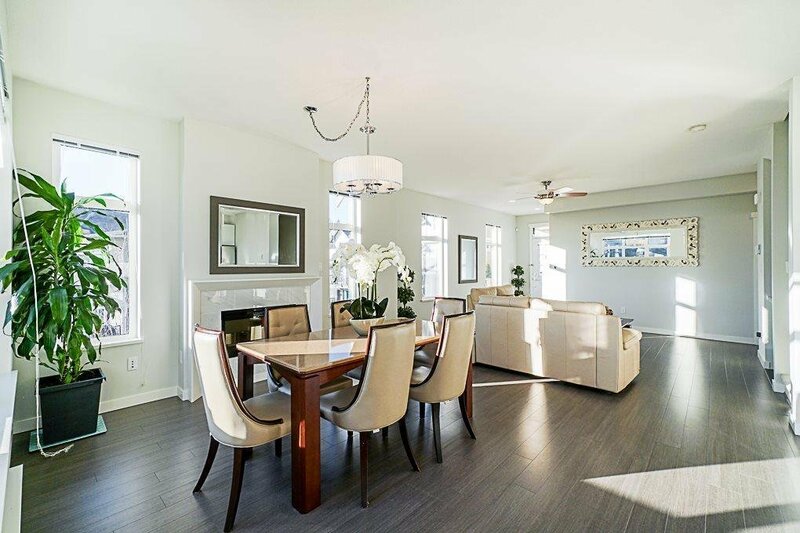 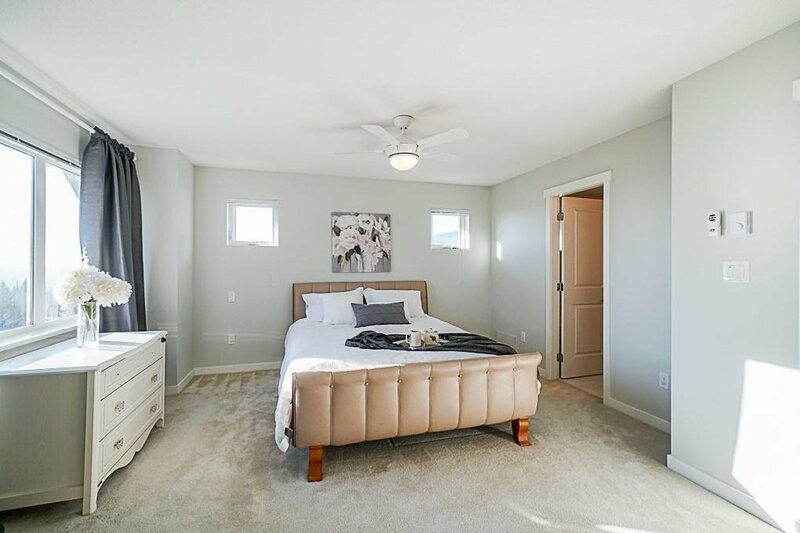 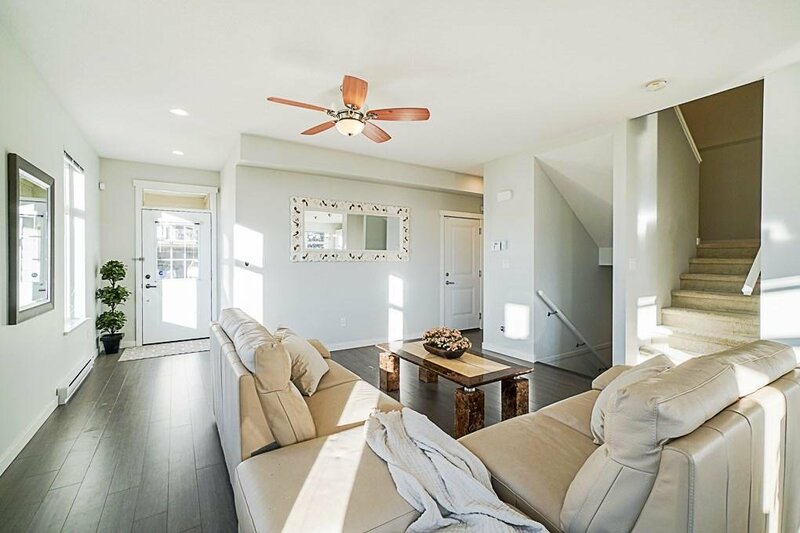 It has all the good features : Open concept floor with expansive gourmet kitchen features huge island with quartz countertops, S/S appliances and laminate floors on main level & Spacious WALKOUT basement for entertainment. 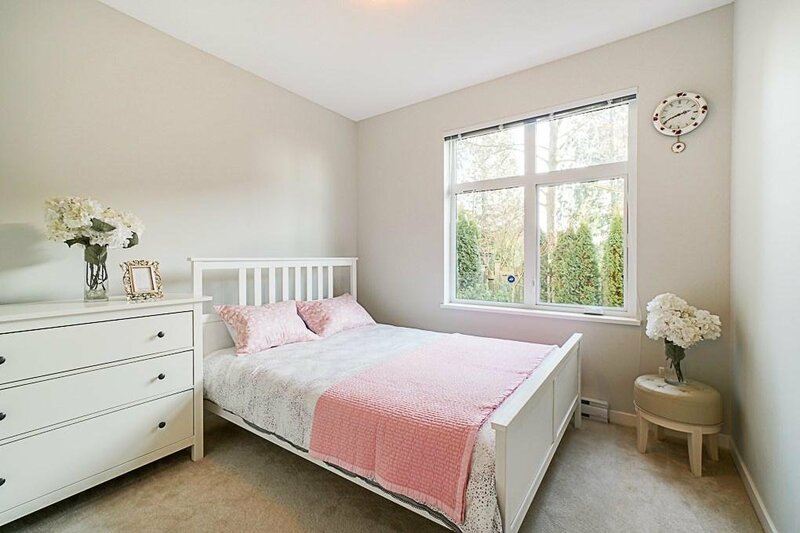 Master bedroom offers complete privacy with the VIEW of beautiful mountains & city, Spa-inspired ensuite & Walk in closet. 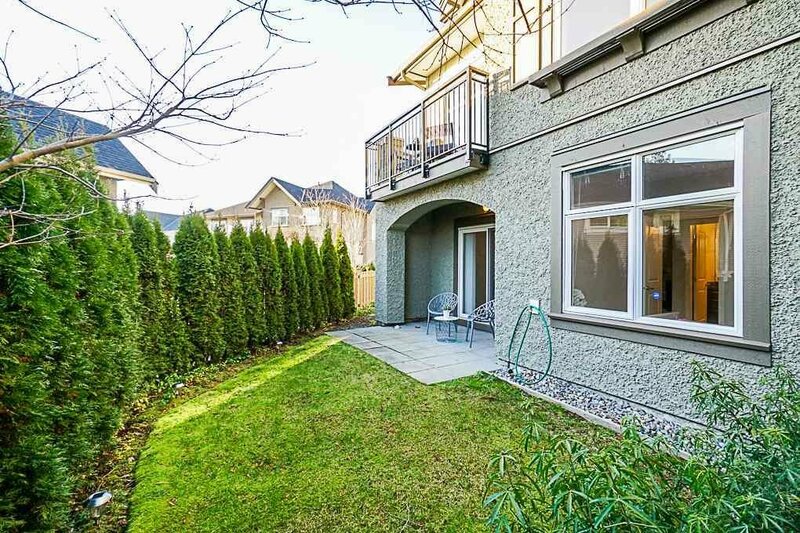 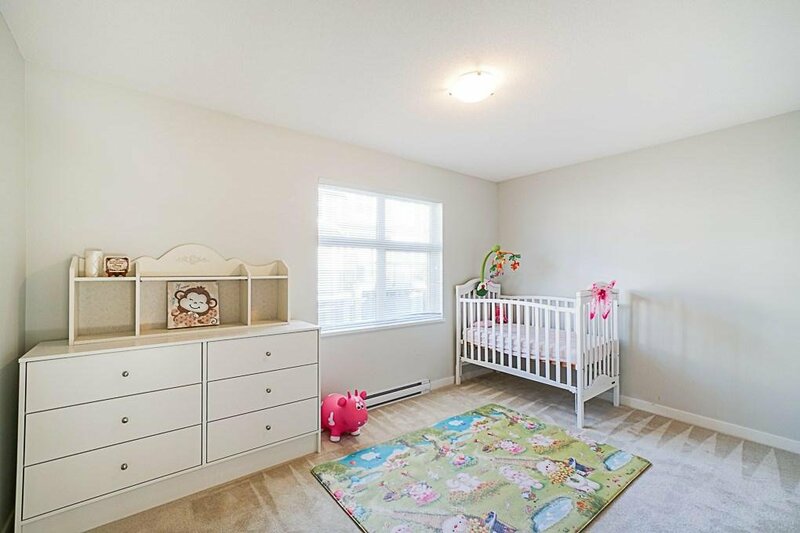 Very Bright w/natural sunlight facing to South side including private fenced backyard for BBQ. 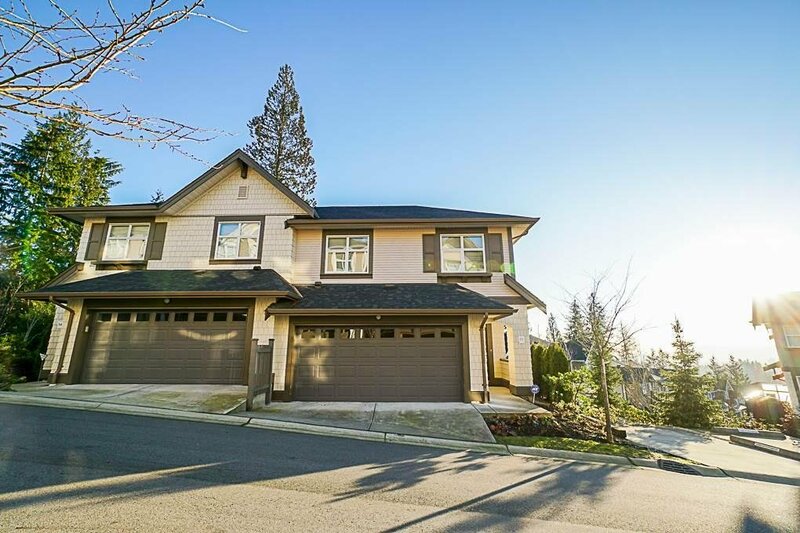 Double SxS garage plus SIX visitor parkings right beside and just steps to new Smiling Creek Elementary school.